The UAVs include two fixed-wing models and two vertical take-off and landing models (VTOLs). One platform that was demonstrated is the TB001 "Twin-Tailed Scorpion," which Tengoen claims is the first and only Chinese-made twin-engine, twin-boom unmanned aerial system (UAS) ever. The TB001 is 33 feet long and has a wingspan of twice that. It can fly for 35 hours and travel over 3,700 miles in that time. It is optimized for satellite control as well as an electro-optical targeting sensor. It can also be equipped with armaments, such as small missile launchers, for a total of 220 pounds of ordnance. A mock-up at the UAV show depicted the TB001 equipped with eight anti-tank Norinco Blue Arrow missiles, each weighing 100 pounds. Also showcased was the TA001, a single pusher-engine UAV meant to carry lighter ordnance. It was about half the size of the TB001. These UAVs were at a showcase of developments by the China Aerospace Science and Technology Corporation (CASC), the state-owned corporation that is the primary contractor for the Chinese space program. 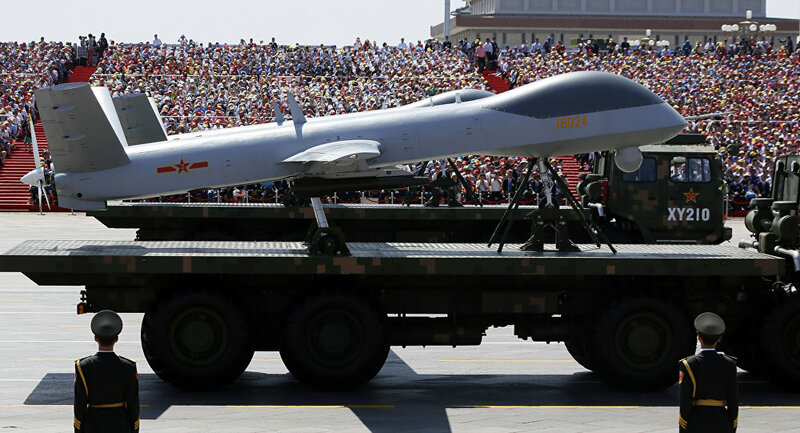 China lags behind other major military powers such as the US and Russia in drone warfare, and has been exploring their options for catching up. One technology they are interested in exploring are drone swarms, where hundreds or even thousands of cheap drones coordinated by artificial intelligence swarm enemy targets such as fighter jets. "Swarming is currently considered to be one of the most promising areas of defence technology development in the world," said Vasily Kashin, an expert on China's military at the Higher School of Economics in Moscow, to Today Online in August. 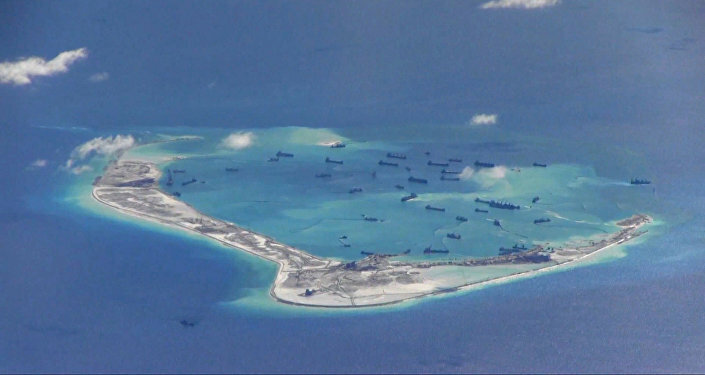 "The Chinese are prioritizing it."